Bestselling writer Joshua Williamson (NAILBITER, GHOSTED), artist Andrei Bressan, and colorist Adriano Lucas will launch the second story arc of the hit Skybound series BIRTHRIGHT on April 8. This new chapter in the ever-evolving fantasy epic will feature a cover by James Harren (RUMBLE). 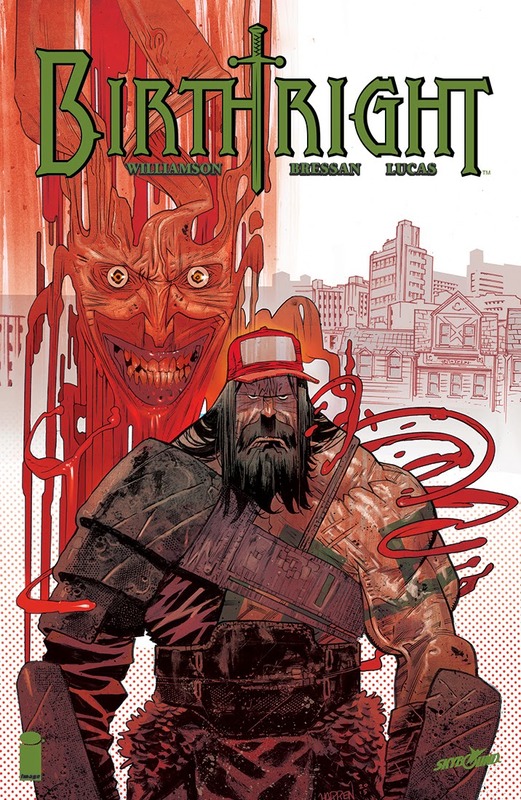 In BIRTHRIGHT #6, Mikey’s return has divided the Rhodes family in unexpected ways. Where do they go from here? Previously in BIRTHRIGHT, readers meet the Rhodes Family—parents still coping with the grief of a missing child—after their young son Mikey disappeared one year ago. Just as the tragedy tears the family asunder and the possibility of his return looks bleak, Mikey reappears, but nothing could have prepared them for who he is now. Snatched from his life by beings from another world, Mikey became a hero whose destiny was to save the land of Terrenos. A grown man hardened by battles with dragons, trolls, and evil mages, Mikey is back to save Earth from the same peril that threatened Terrenos in BIRTHRIGHT. The new adventure begins in BIRTHRIGHT #6, which arrives in stores on 4/8 and can be pre-ordered with Diamond Code FEB150509. Cover B by James Harren can be ordered with Diamond Code DEC148492.